Ritalin is the brand name for methylphenidate, a prescription stimulant prescribed widely to treat symptoms of attention-deficit/hyperactivity disorder (ADHD) in both children and adults. Ritalin’s effects on the body and the mind are comparable to the prescription amphetamine stimulants (Adderall, Vyvanse, etc.). For many with ADHD, this substance aids their ability to focus, and may help them in settings such as school and work. However, this drug is often abused for various reasons — to stay awake, to lose weight, or to get a euphoric “high”. 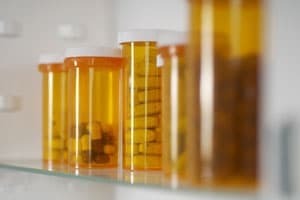 Others may combine it with alcohol or other depressants to alter the usual intoxicating experience felt when these drugs are used alone. According to the Drug Enforcement Administration (DEA), Ritalin initiates excess release of two primary neurotransmitters in the brain: dopamine and norepinephrine. In fact, Ritalin essentially produces effects like those from cocaine by binding to the same receptor sites in the brain 2. This alone illustrates Ritalin’s addictive potential. If you need help, don’t wait to find it. Detox programs are available to help free you of the substance so you can begin your recovery from stimulant addiction. What Are the Short-term Effects of Use? Increased blood pressure and pulse. Increased body temperature and increased sweating. Excessive repetition of meaningless tasks or movements. It’s a common misconception that Ritalin is safe to use since it is a prescription medicine. You should never take Ritalin without a prescription, because the consequences can be unpredictable and even life-threatening. Physiological dependence and acute withdrawal when use is dramatically reduced or stopped. Addiction, which is characterized by compulsive Ritalin use regardless of adverse effects. Perforated nasal septum and nose bleeds in those who crush and snort the medication. Vascular inflammation, skin infections, track lines, increased risk of contracting HIV and hepatitis viruses if injected. Increased risk of cardiac issues, such as heart attack, palpitations, arrhythmias, and cardiac arrest. Serious injuries due to violent behavior. Legal issues due to theft or drug dealing. Interpersonal problems, such as divorce or loss of friends. Expulsion from school or termination from work. Many of these detrimental effects can be prevented by seeking formal detox and Ritalin addiction treatment programs. These programs can help create a foundation for long-term recovery. Symptoms of Ritalin withdrawal will rarely present an immediate threat to the user’s life; however, they can produce intensely uncomfortable physical and psychological symptoms. In most cases, the psychological symptoms are the more severe issues that need to be addressed during the detoxification process. Adipsia (lack of thirst) and resultant dehydration. Fatigue with lack of energy. Depression with potential for suicidal ideation; suicide attempts. Changed social interactions with isolation. The average dose having been regularly used. The presence of other drugs and alcohol in the body. The existence of mental or physical health disorders. Personality disorders like borderline personality disorder or antisocial personality disorder. Ritalin withdrawal can lead to a resurgence of symptoms that were previously being managed by the drug (e.g., symptoms of ADHD, narcolepsy), and may further complicate the course of any co-existing mental health conditions. In most cases, someone that has been using the substance for longer periods, at higher frequencies, and larger doses will experience more intense withdrawal symptoms. A period of supervised detoxification can ensure that these symptoms are carefully monitored and, if necessary, pay therapeutic attention to any co-occurring disorders to avoid potential dangers and complications. The timeline of Ritalin detox will depend on the method, the dose, frequency, and duration of use. Taking high doses of the substance for several days – in other words, a binge pattern of use – will typically produce relatively prolonged and intense withdrawal symptoms 1, 5. Taking other stimulants in combination with Ritalin will likely increase and extend the withdrawal symptoms of Ritalin. Co-abuse of depressant substance like opioids, alcohol, or sedatives can increase the risk of overdose, as each substance may mask the other’s effects, leading to the consumption of even more dangerous amounts. What Happens During Ritalin Detox? Assess current needs and symptoms. Refer the client to follow-up treatment. People that are using other substances with Ritalin. Anyone that has experienced negative withdrawal symptoms previously. Those that opt to be weaned from the Ritalin through a controlled taper rather than ending use “cold turkey”. Those with concurrent, or dual diagnosis mental health conditions. There are no drugs approved to specifically treat Ritalin addiction. Instead, supportive medications such as antidepressants and anxiolytics can be used to treat withdrawal symptoms if they present with sufficient severity. A safe, respectful, and sober environment. Support and encouragement to build sobriety. Connection to further treatment after detox ends. Do I Need Ritalin Detox? Detox can help to lower the risks associated with Ritalin intoxication, long-term use, and withdrawal symptoms. You may need the help of a structured substance detox program if you are dependent on or addicted to Ritalin. Feeling odd or strange without Ritalin. A desire for the substance to feel normal. Anxiety or panic when the drug is not available. Changes in social relationships and increased isolation. Changes in interests and activities. Financial strain due to spending more on Ritalin. Engaging in illegal activity like buying, selling, and trading Ritalin. New or worsening anxiety and depression. Psychotic features, such as paranoia. Nasal mucosal inflammation; septal deterioration in the case of the substance being snorted. Widespread vascular inflammation; embolic events in the case of injection use. Entering a Ritalin detox program may help you avoid or stop the progression of these long-term effects. Although sleep and fatigue will be the primary symptoms for some at the onset of withdrawal, others will experience severe psychological symptoms that may place them or those around them at risk. The presence of these symptoms can make detoxing alone extremely difficult or even dangerous. Additionally, the discomfort of both the physical and psychological symptoms can prompt relapse and deter the user’s recovery efforts. For people that are addicted or dependent on Ritalin, a detox program can help them to start their path to long-term sobriety and lower the risk of relapse that often accompanies attempts to withdraw. Professional referral from those with experience in managing substance use disorders, such as a primary care physician or addiction specialist. Inpatient drug abuse rehab – Provides therapy, support group participation, and relapse prevention training in a live-in environment that generally lasts between 30 and 90 days. Outpatient substance abuse treatment – Provides a predetermined number of hours of therapy on a weekly basis to specifically target relapse prevention and healthy coping skills. Outpatient mental health treatment – Helps address the psychological concerns leading to and resulting from Ritalin use. Alternative housing – Offers a safe sober living environment focused on recovery. Support group meetings – Encourages fellowship with others in recovery while building a strong support group. Drug Enforcement Administration. (2013). Methylphenidate. Morton, W. & Stockton, G. (2000). Methylphenidate Abuse and Psychiatric Side Effects. The Primary Care Companion to the Journal of Clinical Psychiatry, 2(5): 159-164. Substance Abuse and Mental Health Services Administration. (2001). Quick Guide for Clinicians: Treatment for Stimulant Use Disorders. Center for Substance Abuse Research (2013). Ritalin. Drug Enforcement Administration. (n.d.). Drug Fact Sheets: Methylphenidate.